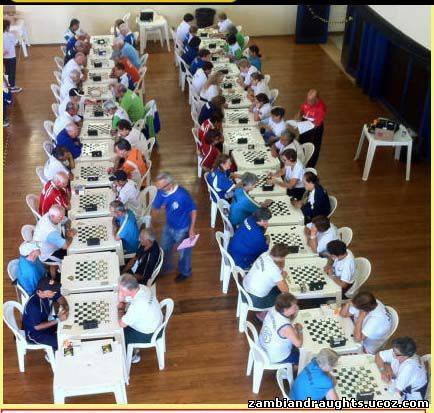 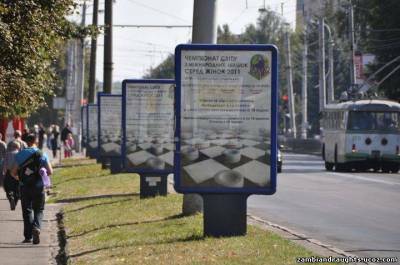 Correction : The photo below shows The 2011 Women World Championship in Riv no, Ukraine which is one of the most attractive draughts publicity ever. 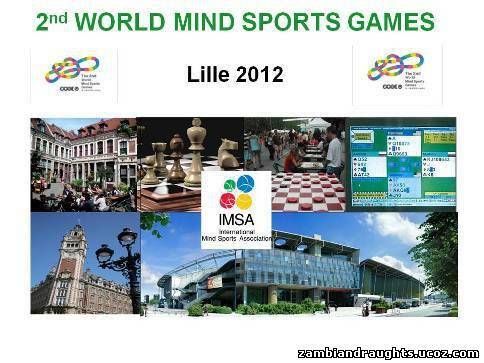 You are all cordially invited to come to Lille! 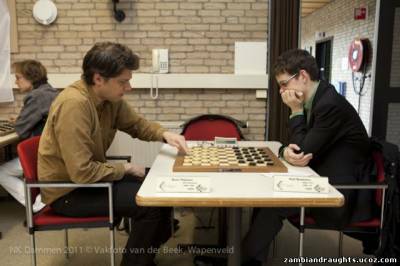 The Dutch Draughts tournament which started on 4th April can be watched live at www.nkdammen2012.nl . Michiel Kroesbergen the young brother to Hermen also participated in the tournament. Elias Munkondia emerged a winner with 12 points in a two days 10 x 10 Draughts Round Robin tournament which was held at OlympAfrica in Lusaka, followed by Hermen Kroesbergen with 10 points, Mwaaza Sakala took the third place with 8 points and the rest had 3 points each. Congratulations !! 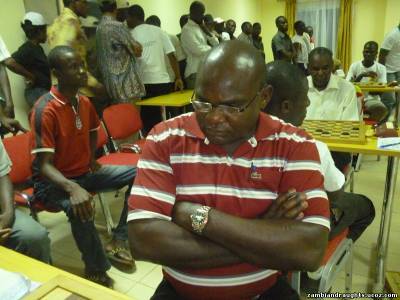 To Mr. Elias Munkondia for winning the OlympAfrica 10 x 10 Draughts tournament. 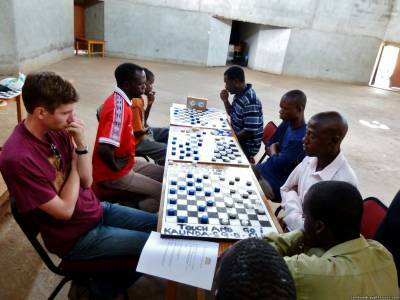 The 10 x 10 draughts tournament was done and dusted today on 3rd March 2012 at OlympAfrica in Lusaka. 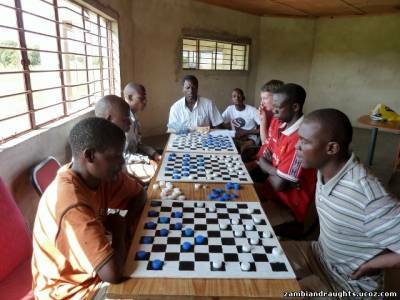 Players who made it through to the Round Robin Stage are ; M. Zulu, Richard Tumba, Hermen Kroesbergen, Elias Banda, Kennedy Phiri and Mwaaza Sakala. 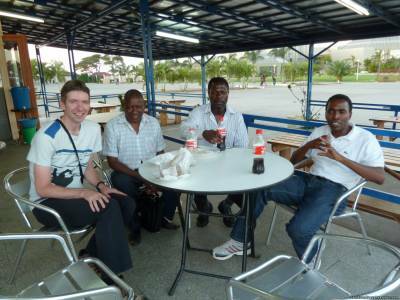 Hermen Kroesbergen, Mr. Joseph Chioko, Mr. Godfrey Kawanda and Inambao Inambao having good time at Arcades before the comencement of the ZDF meeting. 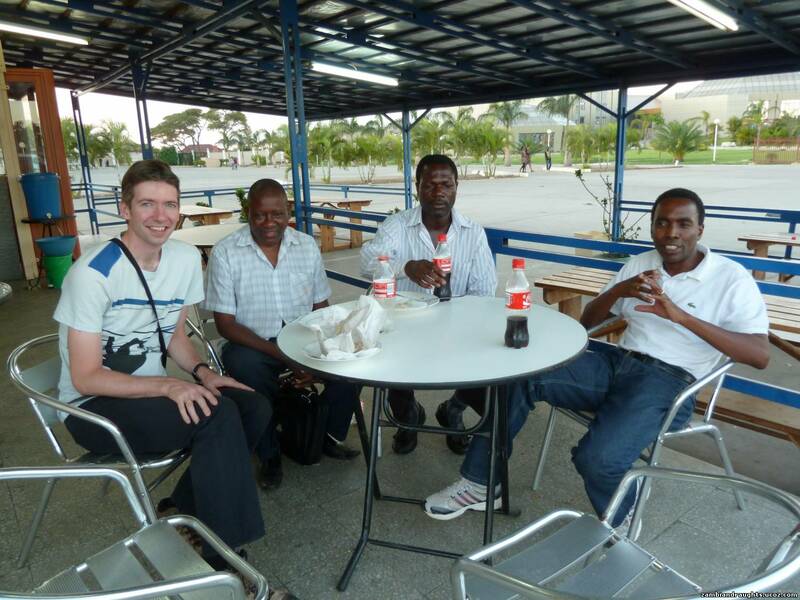 The ZDF staff discussing the progress of draughts in Zambia with Mr. Hermen Kroesbergen at Arcades in Lusaka on Sunday 8th 2012. 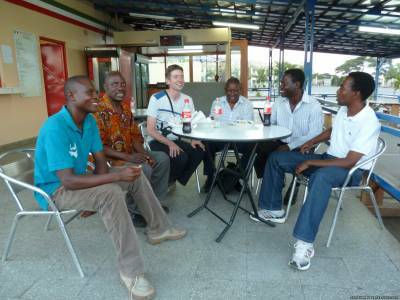 Some of the ZDF memebers who attended the meeting are ; Mwaaza Sakala, Mr. Tentani Mwanzah, Mr. Joseph Chioko, Mr. Godfrey Kawanda and Mr. Inambao Inambao .